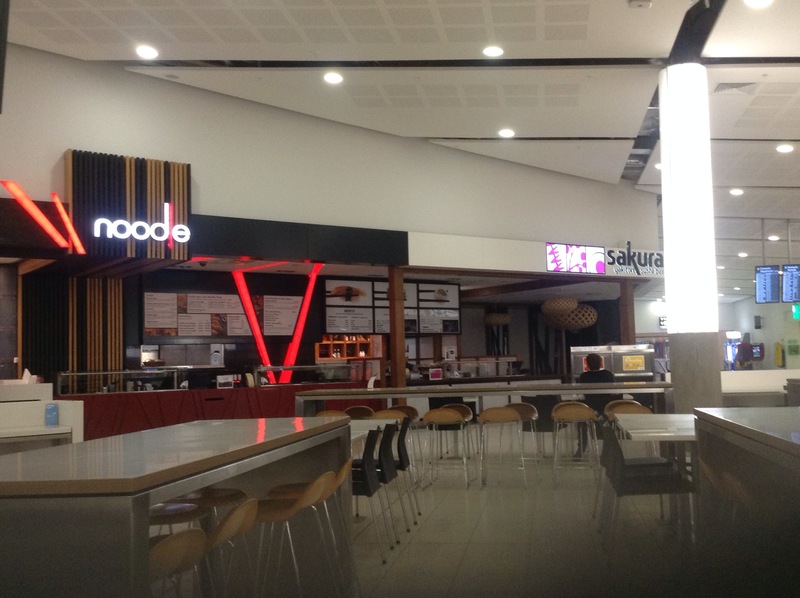 Since Christchurch International Airport went though a major rebuild in the last few years (not due to earthquakes), it has greatly improved the options for dining. Previously there were few options but now, you are spoilt for choice. 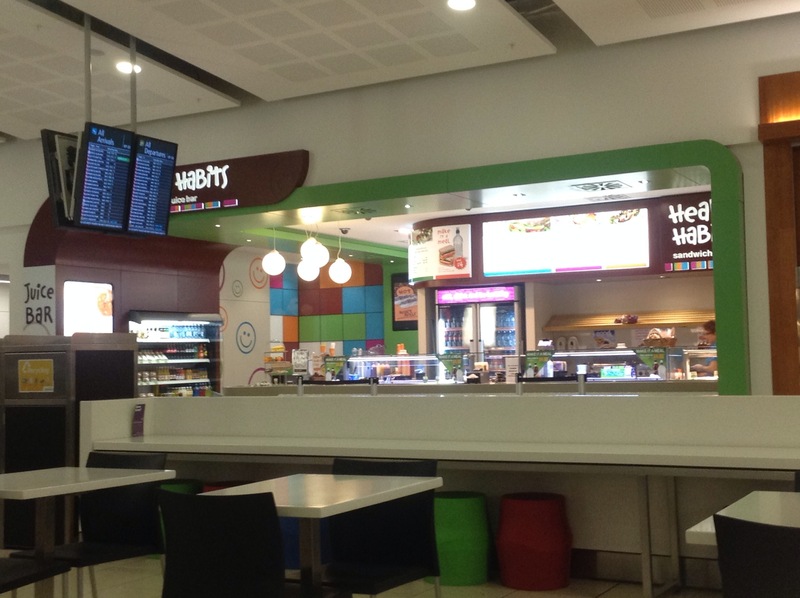 For the most part though, travellers aren’t going any great distance, so the vast majority of options in the terminal are more light meal or snack options. Upstairs in the terminal before you go through security is your best bet if you are wanting something more substantial before your flight. My go to place is usually Wishbone. I never fail to find some interesting, vegetarian option here. I especially like their Spicy Butterbean wraps but they also have some nice sandwiches too. This mornings choice for breakfast was Spiced Hummus and Feta. I also really like the way they label their items so you can see healthy and vegetarian choices at a glance. I’ve seen Wishbone at a couple of other airports so I think they must be a chain but I’ve not seen them in any malls so they perhaps are a little bit niche? Good food though. 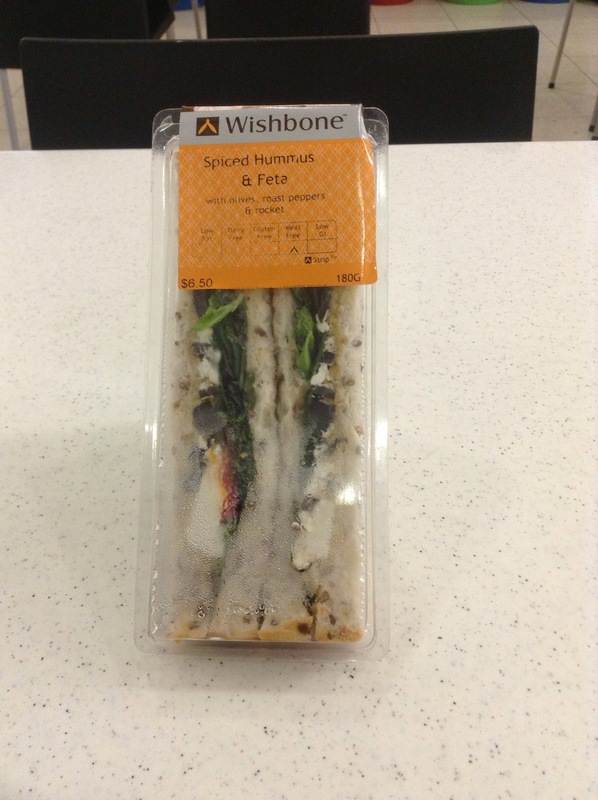 Next to Wishbone is Healthy Habits – a sandwich, juice and salad place. I haven’t ever had anything from here. In the mornings it’s pretty quiet but I imagine later in the day it would be more popular. 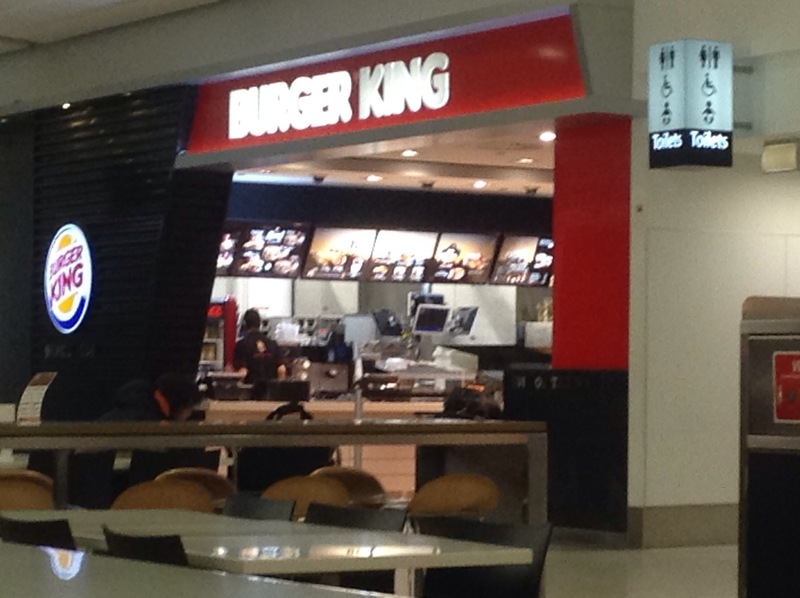 Next along is Burger King. Forget vegetarian burgers here, we don’t have them on the menu in New Zealand – despite around 10% of the population being vegetarian. For breakfast if you want cheap and greasy though, the egg and cheese muffin with hashbrowns and drink is … well, greasy. 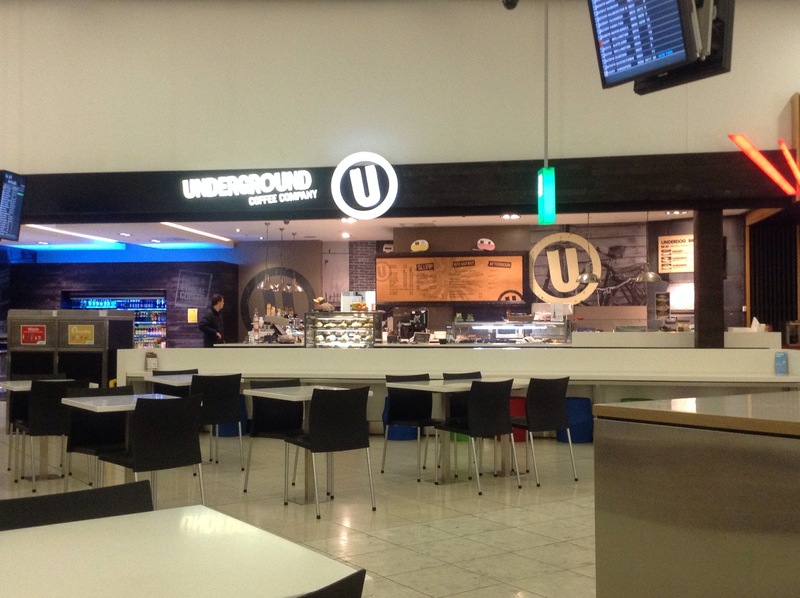 Underground Coffee does … Coffee but also pastries, muffins and more. All prepared in a cabinet. They have a smaller quick service place and immediately next to it, a place that does more substantial food – I spied a vegetarian burger sandwich in their display this morning. Finally Number 8 Kiwi Cafe has prepared food in a cabinet. Personally I don’t see a lot of difference in the food to Underground Coffee but I didn’t study either in great detail. 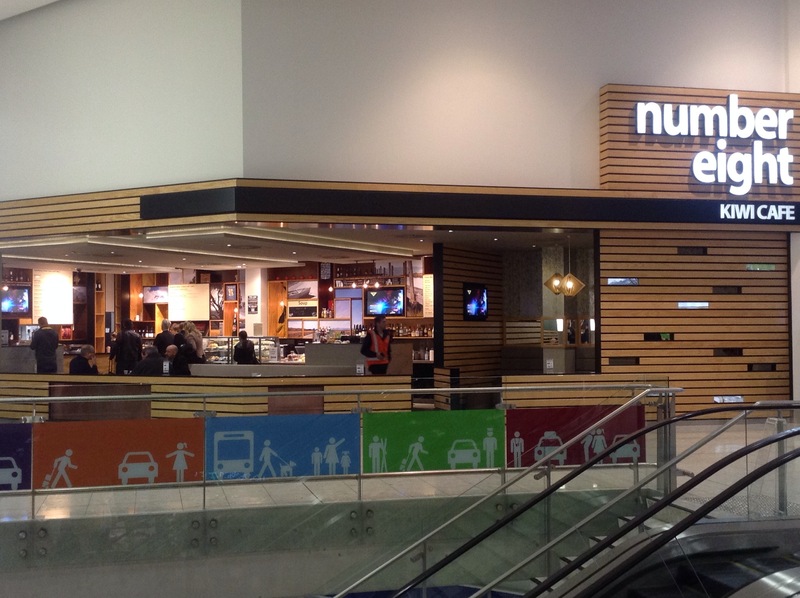 Once you go through security or downstairs to the regional gates, the food choices are drinks (coffee etc), pastries, sandwiches and sometimes a chiller with packaged foods. Prices tend to be a little higher than in the city or your local mall but not a lot more so.